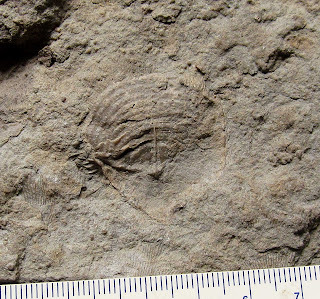 This image appears to be an Echinoconchus alternatus spiny brachiopod fossil. 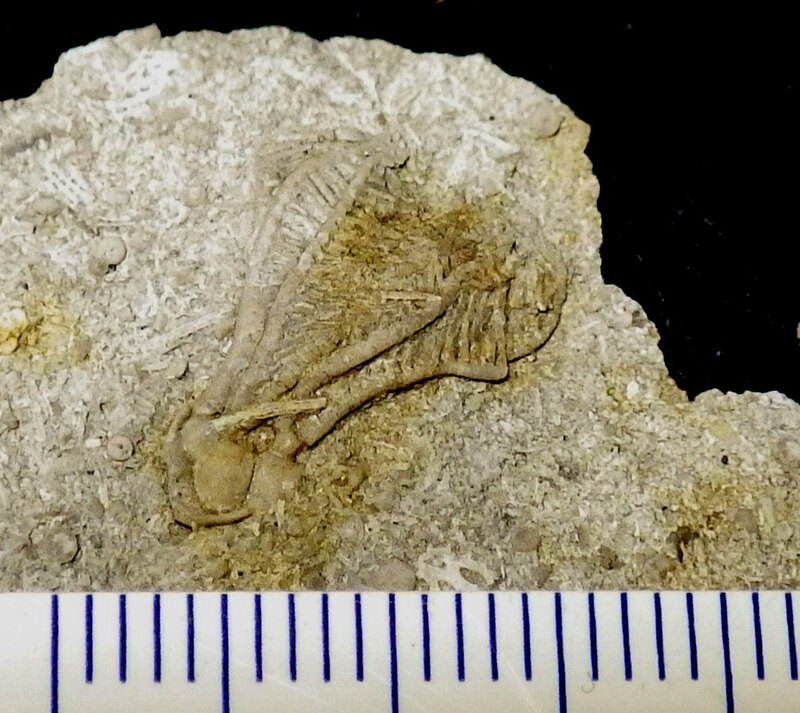 It was found in the Indian Springs Formation of Crawford County, Indiana USA. The fossil dates to the Mississippian Period. Scale on image is in millimeters. This image appears to be a Dichocrinus sp. crinoid calyx fossil. 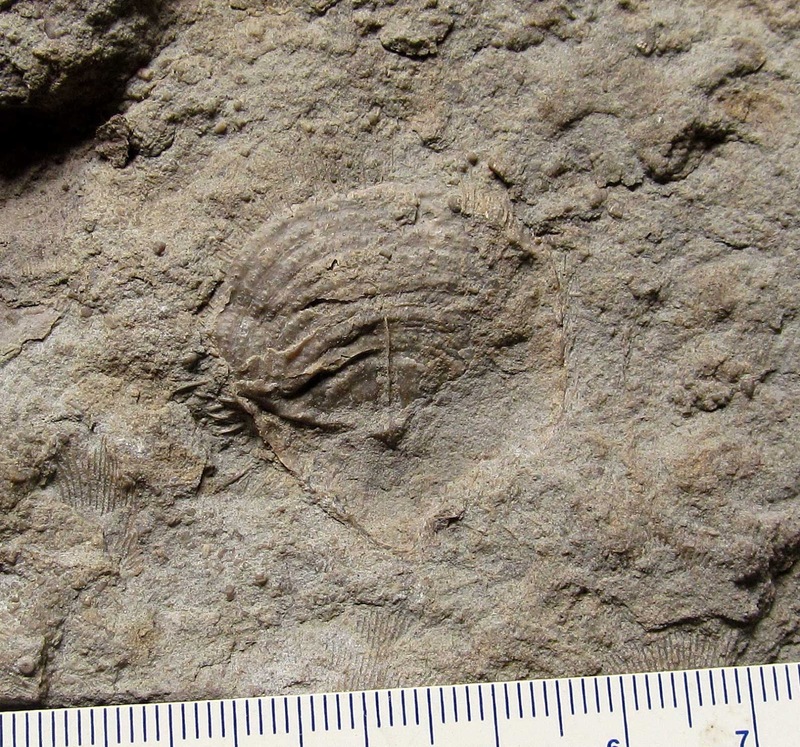 It was found in the Indian Springs Formation of Crawford County, Indiana USA. The fossil dates to the Mississippian Period. Scale on image is in millimeters.